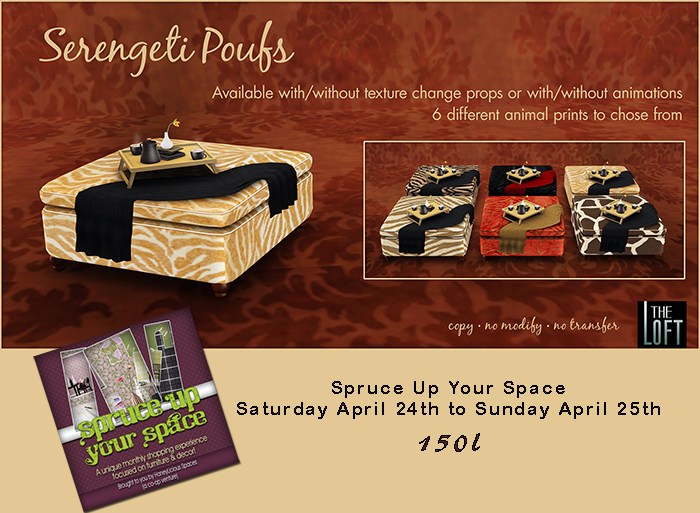 For Lofty Spaces Group Members – Sample of upcoming release. Sent out via the in world group. If you missed it check notices. Expires on January 31, 2013. Welcome to February’s installment of Lofty Spaces. 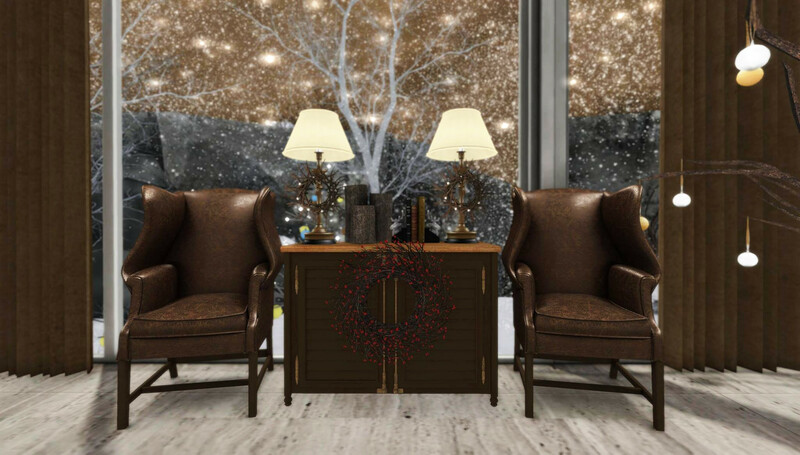 Our winning entry for this month was submitted by Vintage McMillan, who describes her style as a mix of modern with traditional touches. 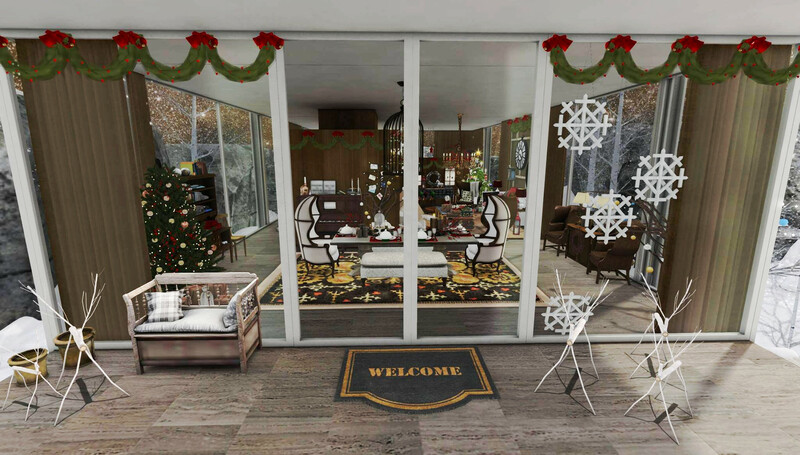 Vintage admits to changing her house and décor every couple of months and believes that everyone in Second Life needs a personal space, somewhere just to call their own. Vintage teleported me to her house/skybox which bares a striking resemblance to a real life prefab for a “Go Green” Campaign. 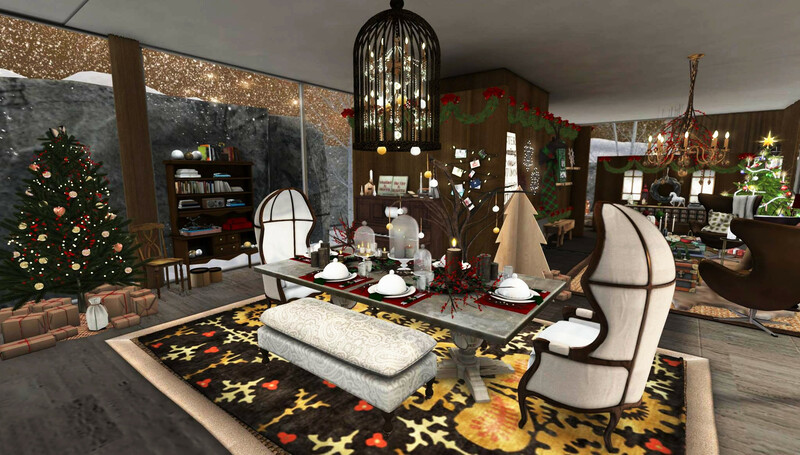 It seems that Vintage and her room mate Asuka Martin are budding prefab builders because they are the creators of this swanky place. What we really liked about this house was the little extras all over that gave the house a “lived in feel”. There were clothes in closets, clothes strewn over mirrors and the bed, shoes everywhere (sometimes not lined up neatly). There was even a glass of spilled champagne on an end table. What was your greatest challenge while designing this funky and cool space? And what is your favorite element your design? 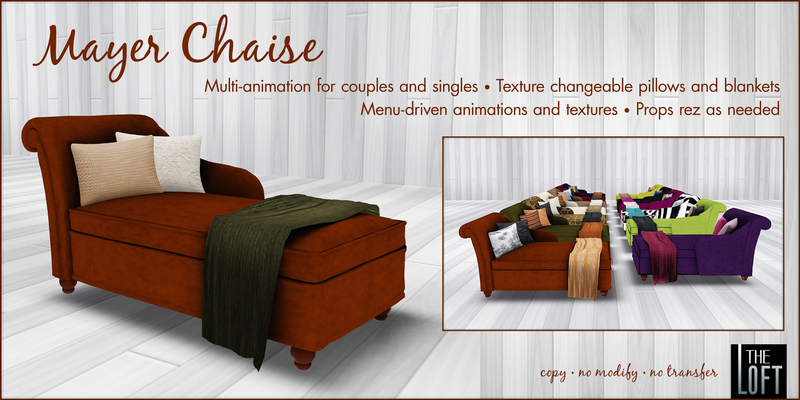 VM: Figuring out how to arrange the furniture. Haha. I think I like how messy my room is. It looks like it belongs to someone who just got back from a long night, and just threw everything down and went to sleep. I wanted it to look lived in. Lol. What was your inspiration? Did you look at magazines? VM: Yes, we had lots of references. We wanted it to look like an actual house. There are too many houses in SL that just look like houses; they don’t look like they could exist outside of it. How long did it take to design your home? VM: Downstairs didn’t take long at all. The upstairs took forever. We wanted our rooms to be the perfect representation. Do you hang out her a lot with friends or is it your preferred afk spot? VM: Thank you for choosing us! Our runner’s up this month were Syane Jewell and Ryker Beck. Syane, enjoys blending periods and concentrates on making her home warm, inviting and most of all family friendly. Ryker caught our attention by being able to fit so much style into her cozy urban style loft. The best part of this monthly event is being able to see all the cool new stuff out there without having to traverse the grid. 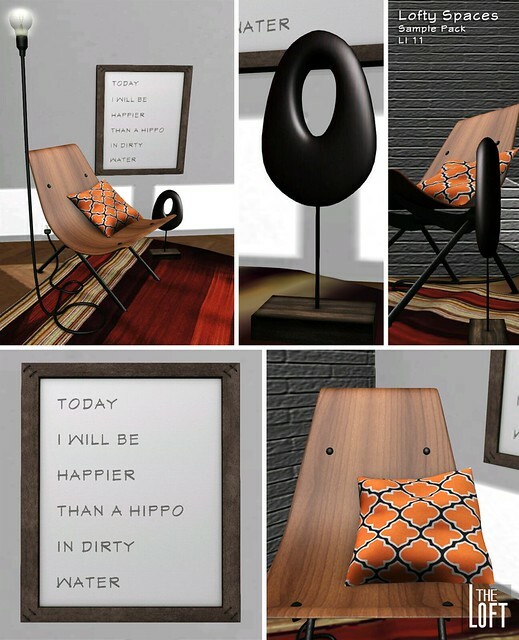 Ryker’s home had a few quirky items which stood out but we just have to place a spotlight on the pig. In most homes we have visited everyone has the standard dog or a cat so the sleeping pig was a nice surprise. 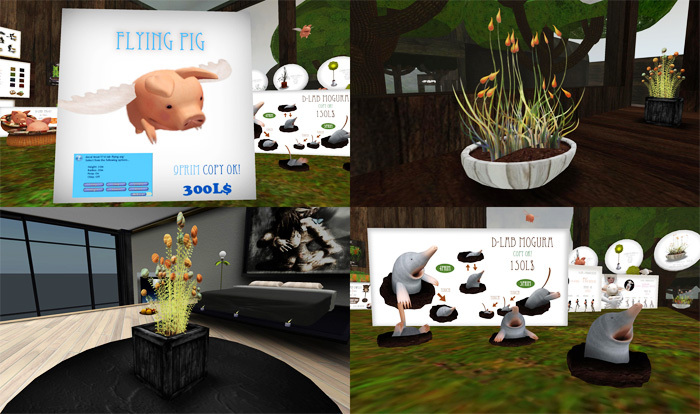 The pig was crafted by Dazia Voom of D-LAB and if you like collecting work that makes you smile every time you look at them this is the store for you, there is also a flying pig people. I am a big fan of all the floral arrangements that are available for purchase along with the garden rodents that dive into the ground when you touch them. Good Times. Our winner was awarded a 2500 gift card and our runners up each received a 1000l gift card. Once again Congratulations to all of our winners and special thanks to every one who sent us an entry. March is on the way so get ready to show us what you’ve got! Check out the rules here. 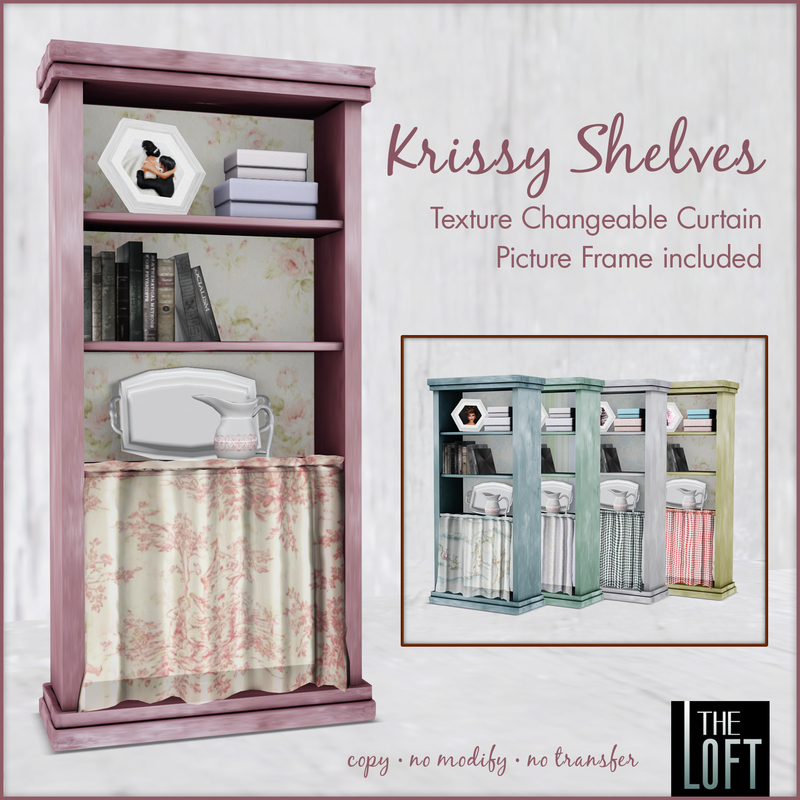 Lofty Spaces – Congratulations Ashlin Leandros! We would like to congratulate Ashlin Leandros on being the first winner of Our Lofty Spaces monthly event. I had the pleasure of sitting down with Miss Leandros to talk about her home, so after a few crashes and re-logs we got things underway. 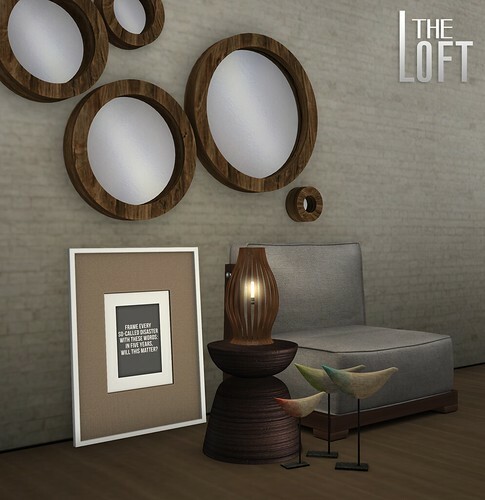 Oriana Robertson: Let me say once again Congratulations on winning the very first Lofty Spaces Event presented by The Loft. Ashlin Leandros: Thank you so much! I am beyond excited! Oriana Robertson: How do you use your home? Do you hang here alone or are you a big entertainer always having friends over? Ashlin Leandros: Well I have a family in SL, a large one at that. We all live here on this sim together, so there are always people in and out. We are here about 80% of the time, hanging out and doing things together. Oriana Robertson: We love what you have done with your space. How long did it take for you to create it and how would you say your design choices reflect your personal style? Ashlin Leandros: It took me about a week to put it all together. I love green, any shade, and once I got the base items to start with, it kind of all fell into place after that. Oriana Robertson: What is your one favorite element in your clean and fabulously decorated home? Ashlin Leandros: This living room is probably my favorite, we spend a lot of time in here together as a family, and also with friends. It’s very comfy and cozy to me and the colors make it feel warm as well. Oriana Robertson : Thank you for your time and allowing us to take a peek inside your space. Ashlin Leandros: Anytime and I thank you so much for being able to participate in the contest. 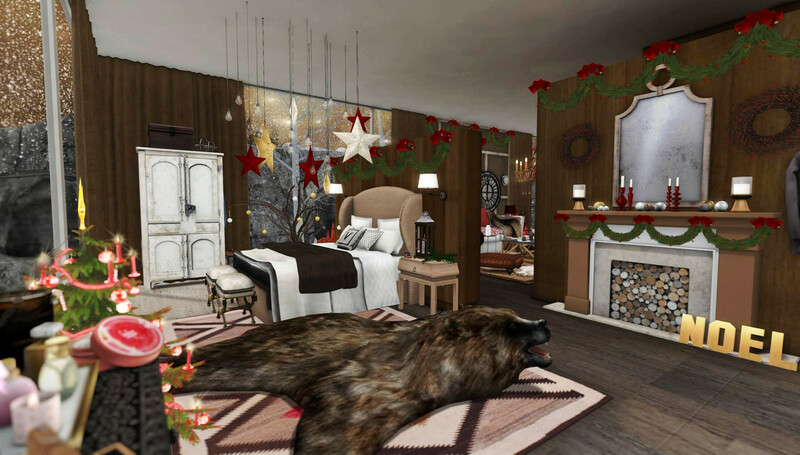 Ashlin’s house was cozy and filled with mementos of her large SL family. My favorite part of her home was the kitchen, where freshly baked cookies greeted us. And what stood out the most in this room were her appliances. They are created by Stormy Javelin of True Balance. The products are very well scripted, the dishwasher loads and unloads, you can choose between “Short” or “Long” washing cycles, rez the clean dishes and even put them away! The microwave has different food options as well as the toaster. Too cute! We would also like to mention here that because of the response we received we decided to choose two runners-up they are Annunziata Macchi and Krissy Muggleston. Annunziata was chosen because of her great attention to detail and the way she seamlessly married Modern with Traditional. With Krissy’s house we really appreciated the way her home reflected a cool collector style, her use of bold colors and her collection of original art by Filthy Fluno. Our winner will be awarded a 2500l gift card and our runners up will each receive a 1000l gift card. We want to thank everyone for their entries. So we will be looking for more entries in February. Show us the LOFT in action!